The family of Lord Charles Somerset - Lord Charles Henry Somerset was the second son of the 5th Duke of Beaufort. The Beauforts are one of Britain's oldest and proudest families with a strong claim to the British throne. In the 14th Century, the name Beaufort was given to the children of John of Gaunt, son of the Plantagenet King Edward III, and Katherine Swynford, who were supposedly not married. The family was legitimised by the Pope of the time, they took the surname Somerset, and the title Earl of Worcester was given to the eldest son. The Dukedom of Beaufort was created by Charles II, in 1682, for Henry Somerset, 3rd Marquess of Worcester, a Lancastrian leader in the Wars of the Roses. 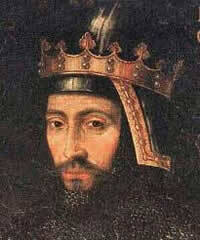 The title was in recognition of the family "having been eminently serviceable for the King since his most happy restoration, in consideration thereof and of his most noble descent from King Edward III by John Beaufort, eldest son of John of Gaunt by Katherine Swynford." A story is told, which may or may not be true, that Charles Fitzroy, the 8th Duke of Beaufort, went to see Queen Victoria, and presented her with papers which proved that John of Gaunt was indeed married to Katherine Swynford. This meant that the Beauforts had a stronger claim to the British monarchy than the present Royal Family. Queen Victoria is said to have thanked him for the information, and thrown the papers in the fire. The youngest son of the 5th Duke of Beaufort, Lord Raglan, Lord Charles' youngest brother, was a famous, or perhaps infamous, military man. He served as Aide-de-Camp to the Duke of Wellington, and lost an arm at Waterloo. He was in command of British forces in the Crimea, and his name will be forever associated with the tragic and ill-considered Charge of the Light Brigade. Another claim to fame - his name was given to the raglan sleeve. The 10th Duke of Beaufort, born in 1900, died in 1984, without male issue, and the title went to a distant cousin, David Somerset. Lord Charles' eldest son, Colonel Henry Somerset, lived in Grahamstown and fought in the Frontier wars for nearly 30 years. Descendants of his children live in South Africa still, and bear the Somerset name. Lord Charles Somerset was born on 12th December 1767, and died on 20th February 1831. His first marriage in 1788 followed his elopement with 16 year old Lady Elizabeth Courtenay, daughter of the 8th Earl of Devon. His second marriage, in 1821 was to Lady Mary Poulett, daughter of the 4th Earl of Poulett; after the death in the Cape of Lady Elizabeth. He became a Privy Counsellor in 1797, and was Governor of the Cape Colony from 1814 to 1826. He has been described as "a hard-living, hard-hunting squire of an overbearing disposition, but with a distinct sense of responsibility towards the country which he has been sent to govern. He had little tact and made many enemies." As it says on the Camps Bay website, "He was extravagant and liked to live as a Lord should; for example, he considered the small Government House in the Gardens to be no larger than a dog kennel, so added on a ballroom." He was one of the highest paid British officials of his day. He earned £10,000 a year; an enormous sum if compared with the annual salary of the town secretary of Bathurst at the time, £60. Sir Lowry Cole, his successor as Governor, received only £6,000. In 1814, Somerset asked botanist Dr Mackrill to tour the Colony, and assess the potential to produce crops for export. On reaching Agter-Bruintjies-Hoogte at the foot of the Boschberg, Mackrill found the place he was looking for "at least a thousand acres; was covered with excellent sweet pasture, there was not an inch of useless ground; the water supply was good and there were approximately 6,000 tobacco plants." The farm, called Somerset Farm on Mackril's suggestion that "the land merits your Excellency's Noble and ancient name", was purchased by the government, and under the supervision of Dr Mackrill, and later Robert Hart, a steady stream of crops, horse feed, and horses was provided for the troops guarding the borders of the Colony. Local farmers, as well as the 1820 Settlers, began to feel aggrieved that a government farm was undercutting their prices and threatening their livelihood. Serious charges were laid against Lord Charles, and, under pressure, he decided to close the farm in 1825. The town that grew up in its place carries his name; - East was added 30 years later to differentiate between it and Somerset West. Many street names still honour members of his family - the family titles Beaufort and Worcester for his father, Paulet for his second wife, as well as Henry, Francis and Charles. In the first five years of Governorship, Somerset achieved a great deal of good, but the second five years, after his return from leave in 1820, attracted much controversy, and he had many enemies. It was his idea to bring out the 1820 Settlers, to provide a buffer between the Xhosa and the white farmers. 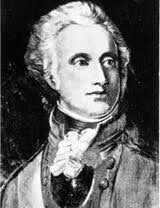 They arrived during his leave, and Sir Rufane Donkin was put in charge. Sir Rufane was an embittered man and seemed determined to deliberately overset all Somerset's decisions regarding the handling of the Settlers. When the Settlers arrived, they found their circumstances much less rosy than they had been led to believe, and they blamed Somerset for this. Only in 1825 did he visit them for the first time, having visited the Frontier twice previously, the first time in 1817 to negotiate with Xhosa Chief Gaika. He arrived "with an olive branch in his hand" and he made many concessions to the Settlers demands, but for many his reforms came too late. He had a running battle with the Press, especially Thomas Pringle. Somerset opposed the existance of a free press, and tried to impose censorship of what was printed. His handling of the Slachter's Nek rebellion and the clumsily executed hanging of the five men near present day Cookhouse was something that he personally regretted afterwards. His association and friendship with Dr James Barry, the Cape doctor reportedly found to be a woman after his death, caused scandalous accusations of an irregular relationship. Barry remained a lifelong friend and when he heard that Somerset was gravely ill, he left his post in Mauritius and stayed in England until Somerset's death. When Lord Charles was called home in 1826 to answer the charges against him many enemies, including Donkin and Pringle, had built up a great deal of feeling against him. He was blamed for "the dilapidated state of the finanaces of the Cape" and was asked to "furnish the necessary explanations." Although he was an extravagant man, the lack of markets for Cape produce, including the loss of a steady market resulting from a British garrison being no longer needed on St Helena to guard Napoleon, was what had bankrupted the Cape Colony. He was portrayed by people such as Pringle and later by history as an autocratic tyrant who "sacrificed the interests of the country for the personal advantage of the Governor and his friends." Although none of the charges stuck, he never returned to the Cape and retired from public life. Two years later he suffered a stroke from which he never fully recovered and died at the age of 63. History records that he made some very unpoular decisions, such as his attempts to enforce anglicisation of the Dutch speaking people of the Cape, but he always had the overall interests of the Cape Colony very much at heart.